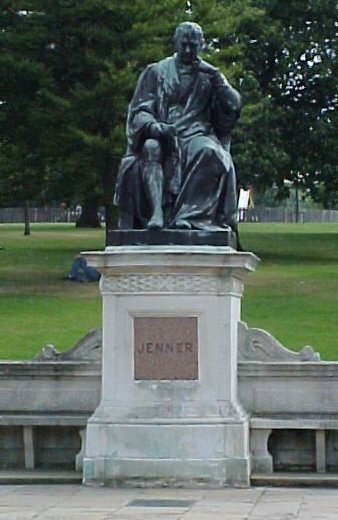 Jenner was an English doctor, the pioneer of smallpox vaccination and the father of immunology. 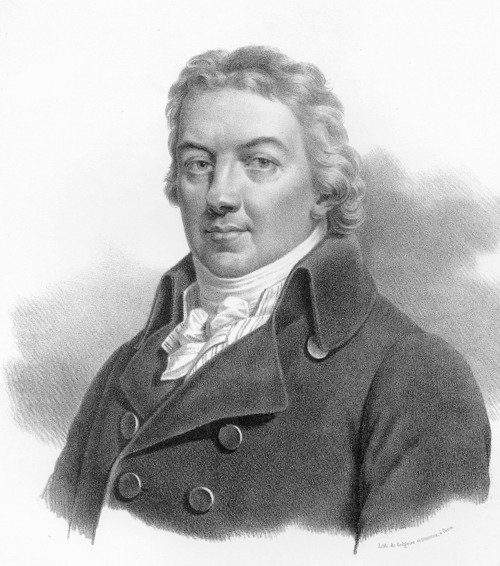 Edward Jenner was born in Berkeley, Gloucestershire on 17 May 1749, the son of the local vicar. At the age of 14, he was apprenticed to a local surgeon and then trained in London. In 1772, he returned to Berkeley and spent most the rest of his career as a doctor in his native town. 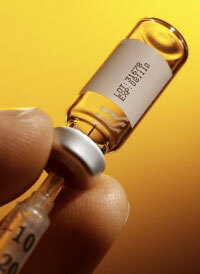 In the the 20th century alone, it is estimated that smallpox was responsible for 300–500 million deaths. It may be the biggest killer in history. An answer was needed. On 14 May 1796 he carried out his now famous experiment on eight-year-old James Phipps. Sarah Nelmes, a dairymaid, confirmed that one of her Gloucester cows called Blossom, had recently had cowpox Jenner inserted pus taken from a cowpox pustule and inserted it into an incision on the boy's arm. He was testing his theory, drawn from the folklore of the countryside, that milkmaids who suffered the mild disease of cowpox never contracted smallpox, one of the greatest killers of the period, particularly amongst children. A farmer named Jesty from Yetminster in 1774 gave his wife Elizabeth and two eldest sons immunity by infecting them with cowpox. Jenner subsequently proved that having been inoculated with cowpox Phipps was immune to smallpox. He submitted a paper to the Royal Society in 1797 describing his experiment but was told that his ideas were too revolutionary and that he needed more proof. Undaunted, Jenner experimented on several other children, including his own 11-month-old son. In 1798 the results were finally published and Jenner coined the word vaccine from the Latin 'vacca' for cow. Jenner was widely ridiculed. Critics, especially the clergy, claimed it was repulsive and ungodly to inoculate someone with material from a diseased animal. A satirical cartoon of 1802 showed people who had been vaccinated sprouting cow's heads. However the obvious advantages of vaccination and the protection it provided won out, and vaccination soon became widespread. Jenner became famous and now spent much of his time researching and advising on developments in his vaccine. Jenner carried out research in a number of other areas of medicine and was also keen on fossil collecting and horticulture. He died on 26 January 1823. 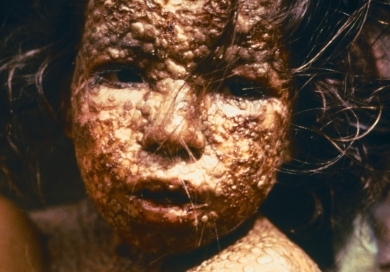 In the eighteenth century, before Jenner, smallpox was a killer disease, as widespread as cancer or heart disease in the twentieth century but with the difference that the majority of its victims were infants and young children. In 1980, as a result of Jenner's discovery, the World Health Assembly officially declared "the world and its peoples" free from endemic smallpox. In 1977 Ali Maow Maalim, a hospital worker was the last person on Earth to catch smallpox. It is estimated that Jenner has saved more than 528 million lives. He was elected 'Fellow of the Royal Society' in 1788, following a careful study combining observation, experiment and dissection into a description of the previously misunderstood life of the cuckoo in the nest. His description of the newly-hatched 'cuckoo' pushing its host's eggs and fledglings from the nest (contrary to the existing belief that the adult cuckoo did it) was only confirmed in the 20th century when photography became feasible and Jenner was proved correct. Having observed the behaviour, he demonstrated an anatomical adaptation for it—the baby cuckoo has a depression in its back which is not present after 12 days of life, in which it cups eggs and other chicks to push them out of the nest. It had been assumed that the adult bird did this, but the adult does not remain in the area for sufficiently long. His findings were published in the Philosophical Transactions of the Royal Society in '1787'. During his lifetime 'Hot Air Ballooning' become popular and Jenner held many experiments in this area too.